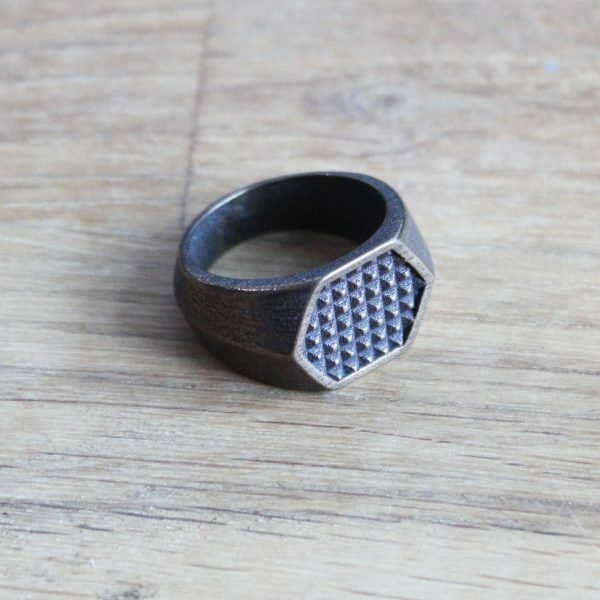 Hexagon shaped signet ring with studded texture. 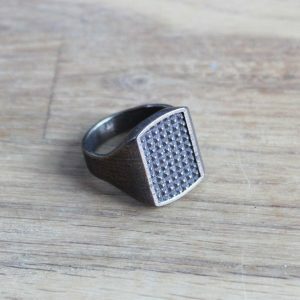 Fits great on both index and ring finger. 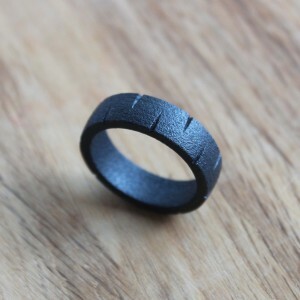 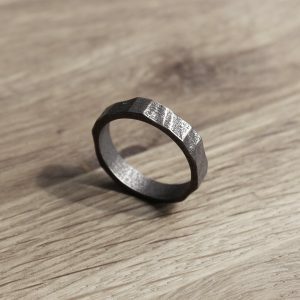 This bronze steel ring has a polished surface that gives it an antic and rustic look.